Introducing the most enchanting resort you've never visited! 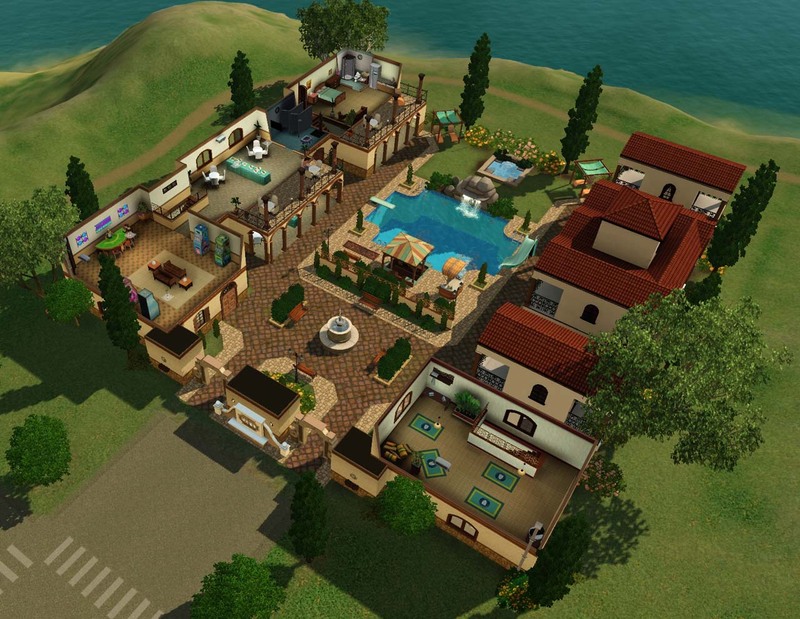 After playing the Island Paradise EP, I just had to try making a resort that fit into the world of sunny Monte Vista. 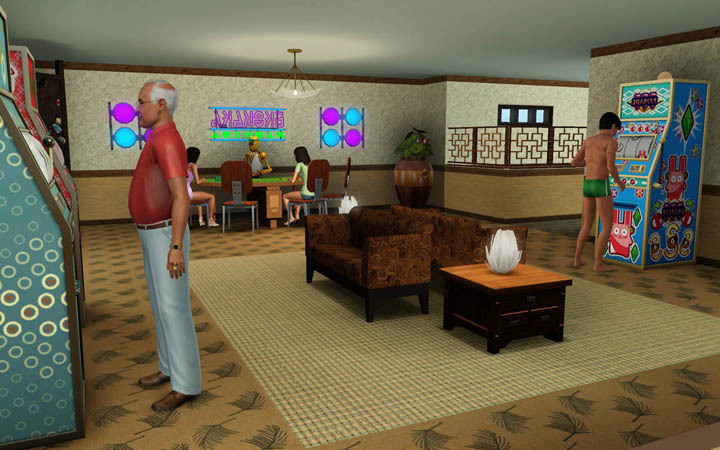 This is a destination your sims won't soon forget. Step through the gates, pause by the bubbling fountain, and let your day-to-day worries melt away. Frolic in the waterfall or zip down the slide, our pool is yours to enjoy. Take a seat at our exclusive pool side bar. No, really, please take a seat. Our server works for tips and they've been a little scarce lately. If swimming has left you fatigued, relax in a soothing hot tub, stretch out on a lounge chair, or just spread a beach towel in the floral garden and soak up some sun. Adults can take their chances with Lady Luck at our blackjack table and slots, while the young ones can safely play in the lower level amusement room. Teens can try a game of table tennis or foozball when they’re not busy texting each other. Feast on the wide selection of tempting dishes we offer, dining in the main hall or upstairs on the balcony overlooking the courtyard. Kids' meals are available on the lower level, where the floor is easier to clean. For patrons with more discriminating taste, avoid the common rabble by booking into one of our luxury VIP suites. There are no mini-fridges here, we provide full size models stocked with full size goodies at full size prices. Still not convinced? Below you'll find some mundane but strangely enchanting overviews of all the facilities we provide. Remember, you can click on the pictures to see a larger version. 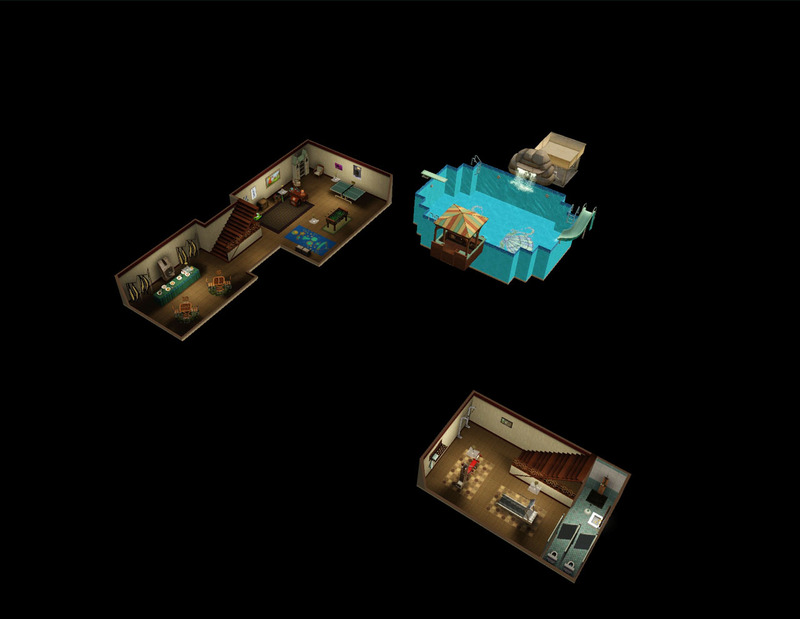 Top Floor: Counter-clockwise from the top is a VIP suite, the upper buffet and balcony, gaming room, and yoga studio in the bottom-right. Ground Floor: Counter-clockwise from the top is the second VIP suite, the primary dining hall, main desk reception area, and a gym in the bottom-right. Lower Level: A kids play area and buffet occupy most of the lower level, with another gym in the lower-right because apparently you can never have too many exercise machines gathering dust. 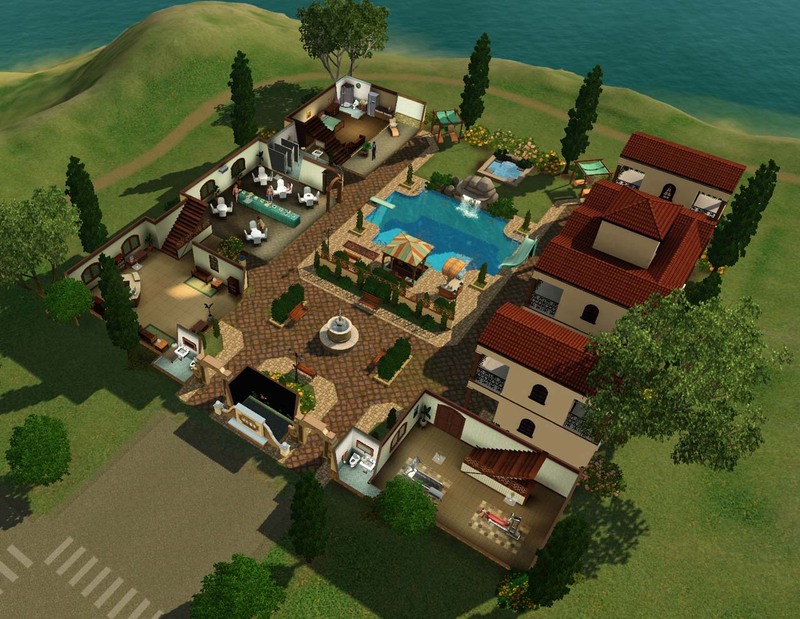 If you would like to add this resort to your world, feel free to download it below. It was built for the lot at 40 Toscana Drive in Monte Vista but of course you can use it anywhere you want. No CC, but requires every EP except Supernatural, plus most Stuff Packs. Requires the Monte Vista and Lucky Palms worlds from the EA Store. Requires at least patch 1.55 (Island Paradise). While in Edit Town mode, select a 40x40 lot and change it to the Resort type. 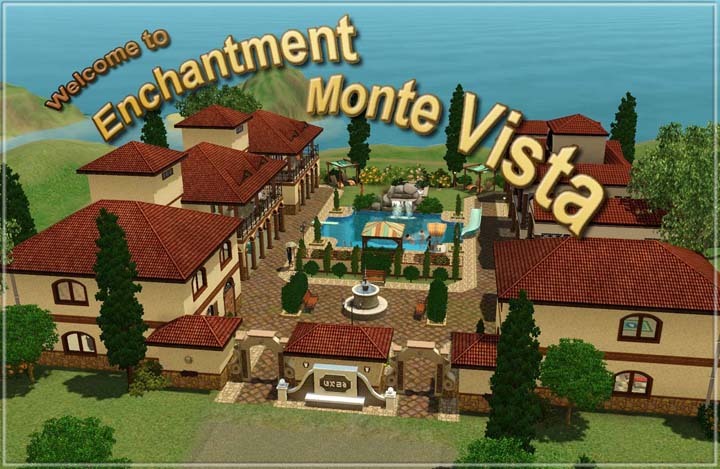 Under the Community Lots tab, select the Enchantment Monte Vista resort and place it on your lot. Your sim can buy and run the resort by clicking on it or using the smart phone's Real Estate & Travel Services feature.